Since 1993 ‘Open Concert’ has been one of the most enduringly popular music programmes on Korean TV. Aired every Sunday night for an hour on KBS (Korean Broadcasting System), it’s staged in the KBS Hall at the broadcaster’s HQ in Yeouido, Seoul in front of a live audience of nearly 1700. 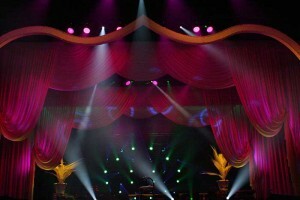 Lighting for the show is designed by KBS’s Mr Lee Kwan Han working closely with the KBS lighting design team. Currently on the rig for the weekly show are 40 Robe ROBIN 1200 LEDWashes and 38 MMX Spots which were purchased earlier in the year by the KBS Hall to be added to their house lighting system. They are proving ideal for lighting the show, giving Mr Lee all the creative latitude he needs to produce a rich and varied collection of looks and scenes for the different artists each week. The Open Concert line-up includes a wide range of genres in singing, music and performance. 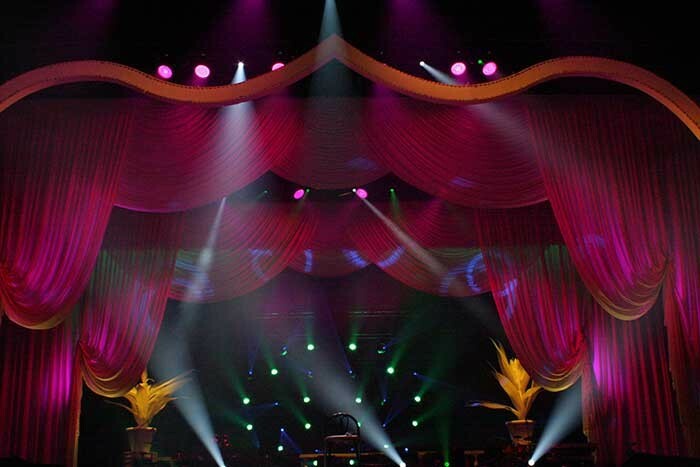 It’s designed to appeal to audiences of all ages and tastes, so Mr Lee needs huge flexibility to produce the very best styles of TV lighting – as well as making it rock for the live audience! 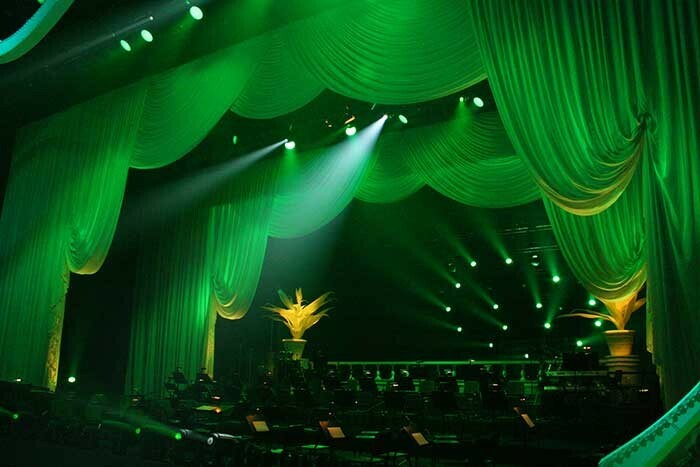 This – together with the reliability and affordability of the fixtures - is why he chose to use the Robe LEDWash 1200s and MMX Spots, which were delivered to the KBS Hall by Robe’s Korean distributor, Art-Tech. The 38 MMX Spots were purchased first and proved such a success that the LEDWash 1200s soon followed. The Hall also stages numerous other shows and events and the lighting team there are all delighted with their latest moving lights. For the Open Concert, the MMX Spots are positioned overhead and around the stage floor and are used for aerial effects and bold, powerful beam-work. The LEDWashes are installed on overhead trusses and also spread out on some circular trusses upstage. They are positioned to give a smooth, even coverage all across the performance space. For the show, Mr Lee uses the LEDWash colour mixing facilities extensively, together with its zoom and other features, alongside the dual graphic wheel of the MMX Spots with which he produces comprehensive and intricate texturing. These and the other stage lights in the venue are programmed and run on a grandMA console.